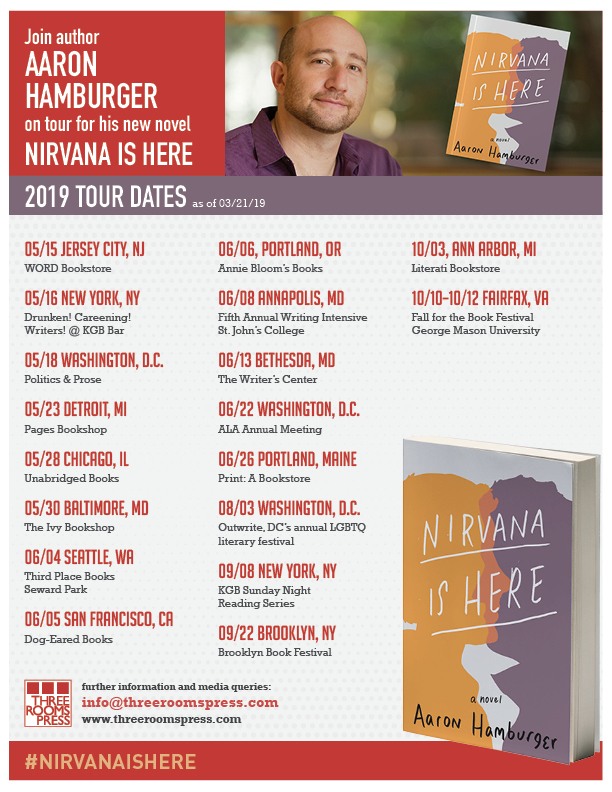 Meet award-winning Nirvana Is Here author Aaron Hamburger this spring and fall during one of his many tour stops across the country. From Portland, Maine to Portland, Oregon, Aaron will be reading, holding workshops, speaking on panels, and signing copies of this brilliant new novel starting this May. Save the date now for when he comes to your hometown. And check back for updates here — this schedule is still growing! Want to help spread the word? Download the flyer below and post to your social media, blog, or website. Aaron and Three Rooms Press really appreciate your help!